The site represented a number of challenges for the design including retaining walls, varying levels and proximity to adjacent buildings. Proposed off street car parking is located within the undercroft, including bin and cycle storage. 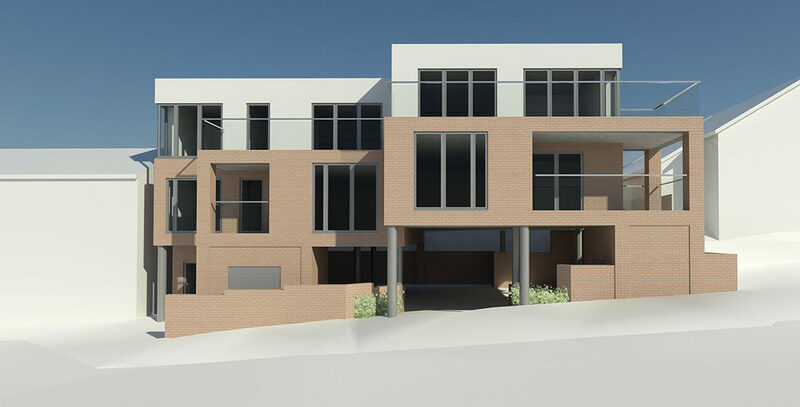 The project successfully achieved planning permission at Committee in November. Prior to approval the application had undergone a pre-planning application and addressed comments received from the Eastleigh Design Review Panel. Our Southampton office has been asked to carry out feasibility and planning for a development of 8 flats on a seafront location adjacent to an ancient monument.